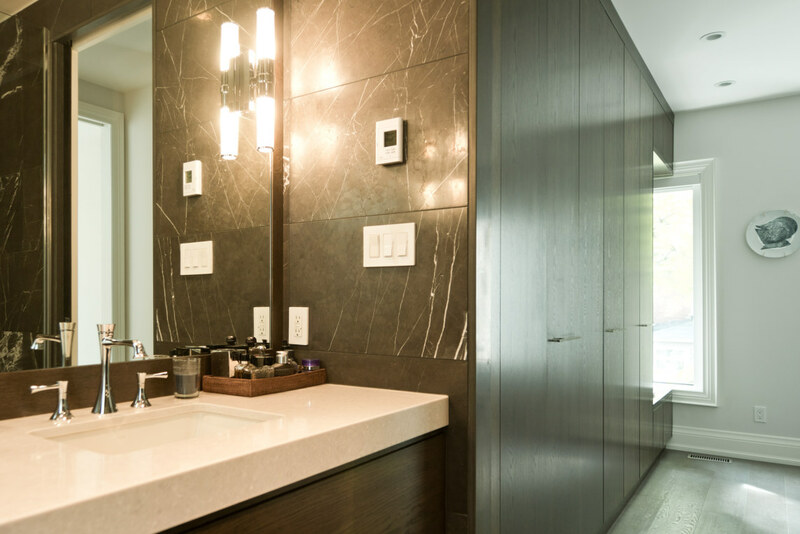 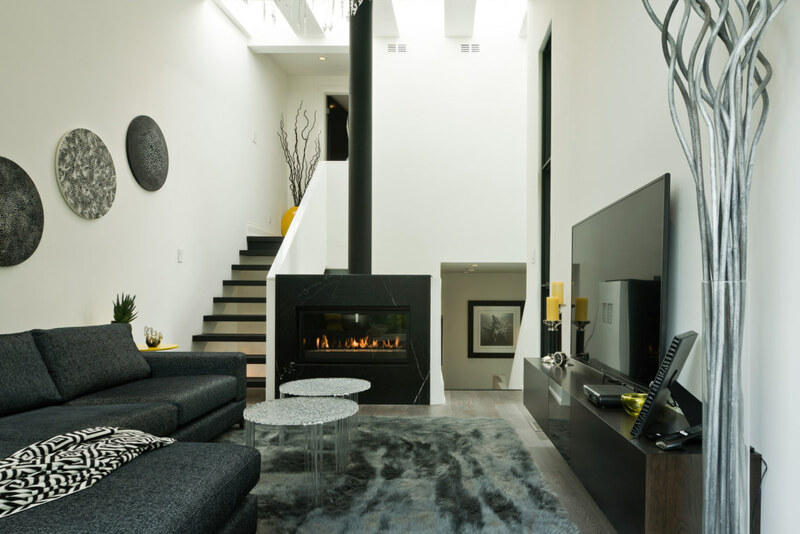 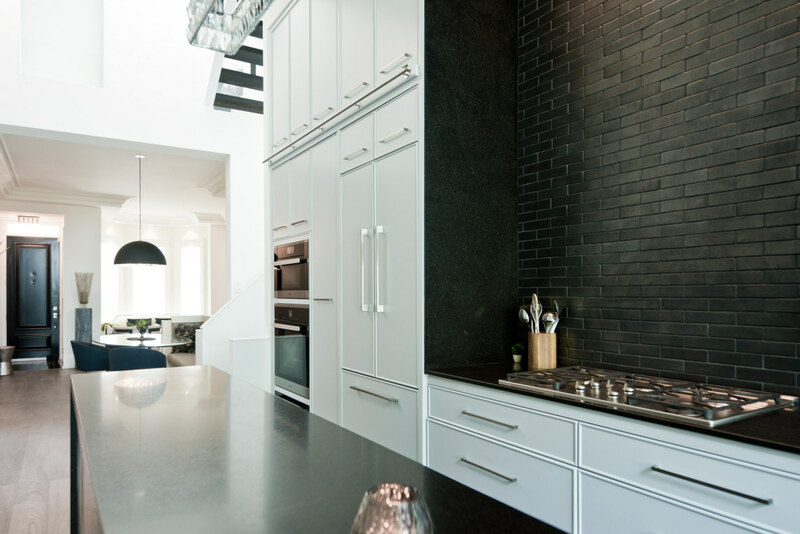 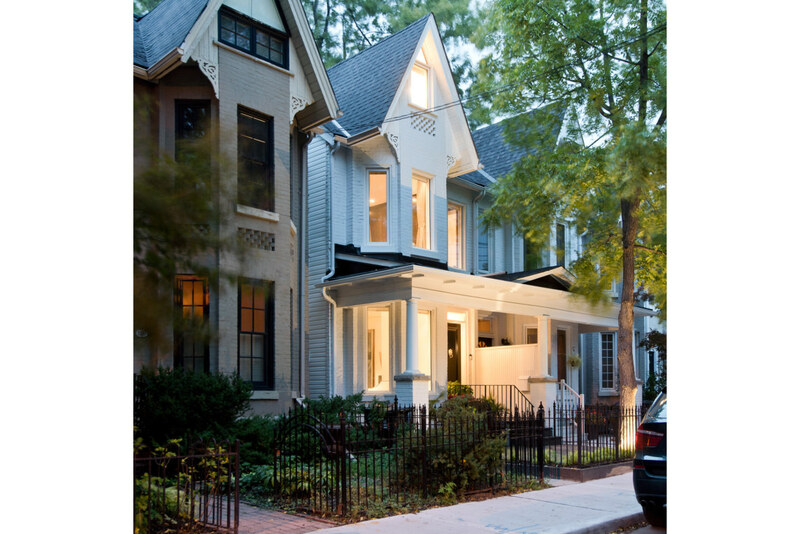 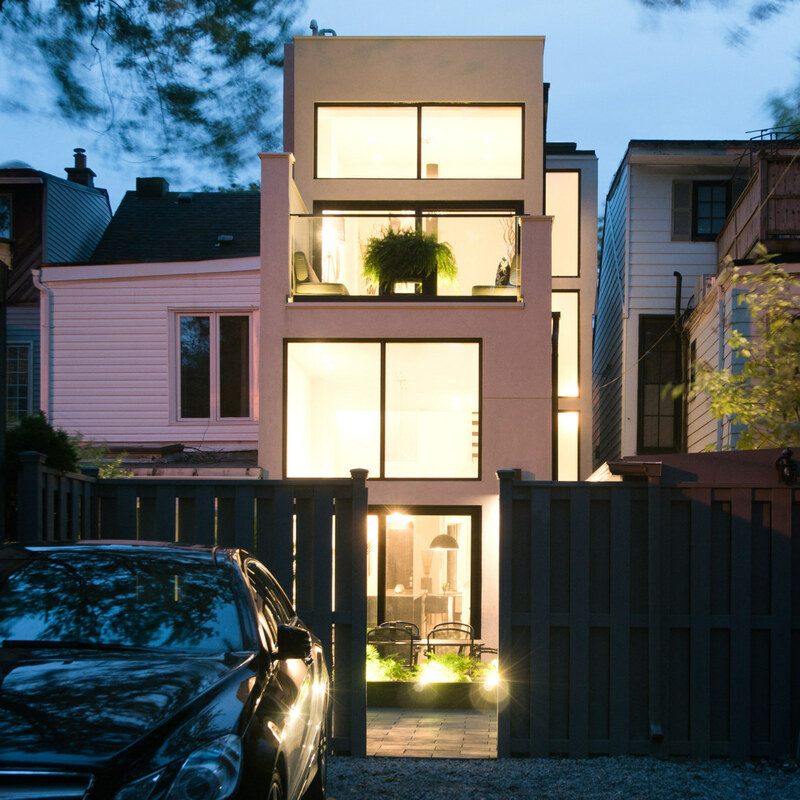 The original victorian elegance and proportion of the semi-detached home inspired this sophisticated, contemporary renovation and addition in Toronto’s Summerhill neighbourhood. 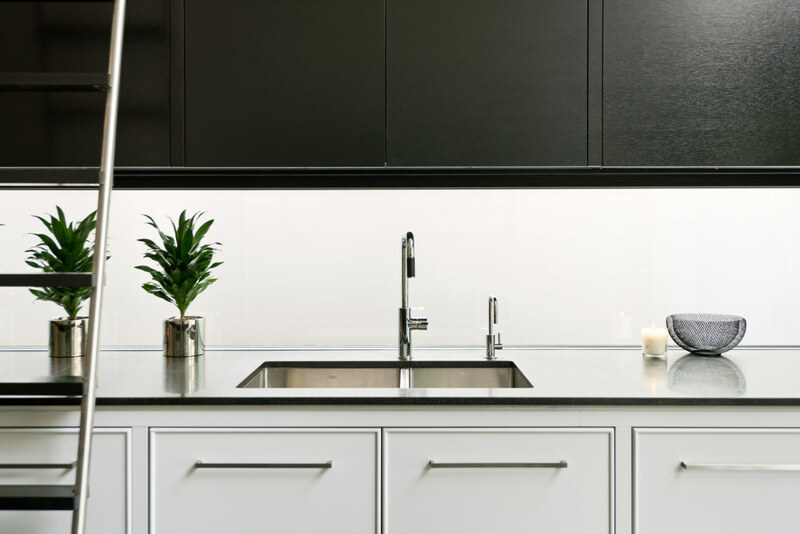 The main event of the home is the kitchen; a spectacular space for entertaining with ceilings soaring to 14’ and a long black granite island stretching to 15’. 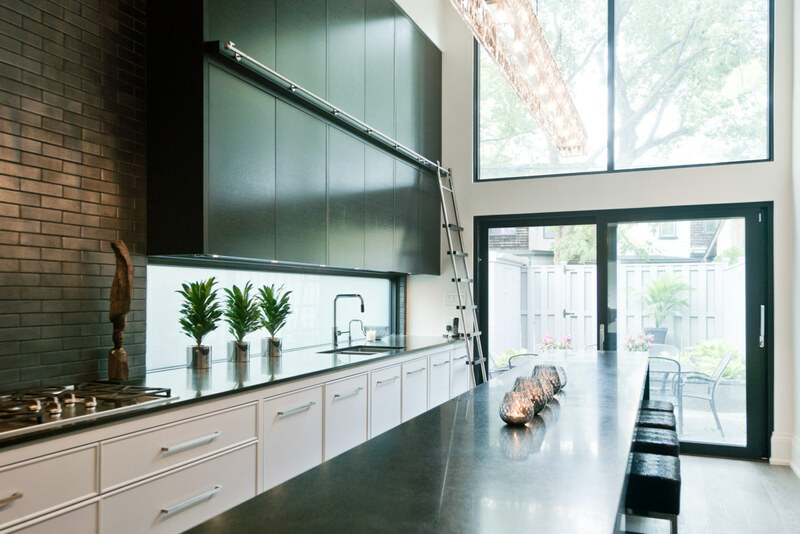 The full-height glazing at the end of the kitchen opens to the outdoor living spaces of the courtyard-like backyard, and a lofty upper-floor lounge opens to a roof deck sitting within the tree canopy. 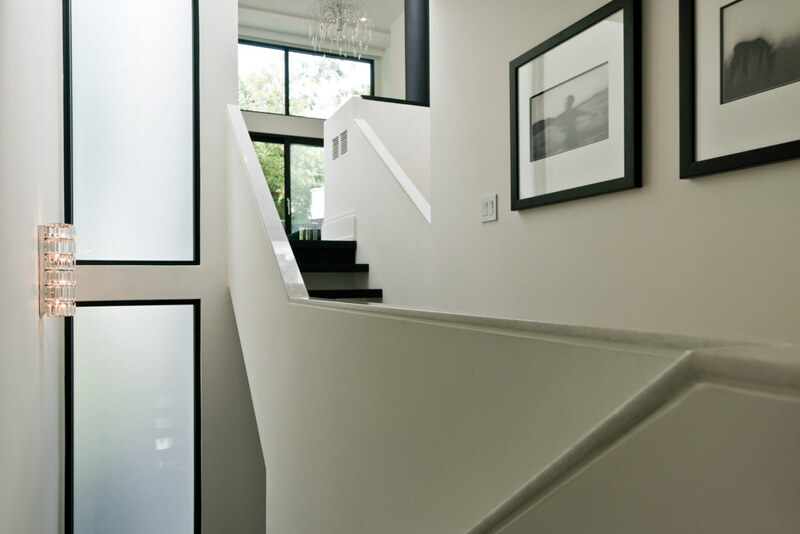 The more intimate spaces of the home are tucked into the front half of the house against the original victorian facade and a tall, thin light well separates them from the soaring entertaining spaces, bringing natural light through the centre of the home.